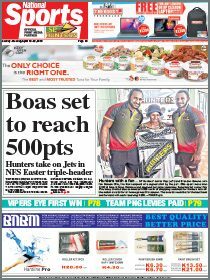 IT is the belief of many technocrats in Papua New Guinea that the successful rollout of the national energy plan will contribute substantially to the Government’s Vision 2030 targets. 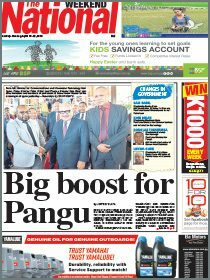 That goal is to provide electricity to 70 per cent of households in PNG. This political drive stems from the adoption of the World Bank and International Monetary Funds (IMF) policy as financiers of the Government programme. The Government has to learn from the experiences of other countries which are successfully developing their energy sectors. The success of many Asian and African countries, and Australia, has been achieved through a public-private partnership (PPP) arrangements which our Government has adapted. Through this arrangement, employment opportunities for electrical technicians passing out of electrical institutions and other disciplines can bridge the gap of unemployment in the provinces. We suggest that provincial governments assist through budgetary allocations to help the local industry and PNG Power be more effective in the supply of electricity. venture into the distribution and retailing business, especially in centres where PPL is not doing well. Voice for current and former PPL & PNG Elcom employees.